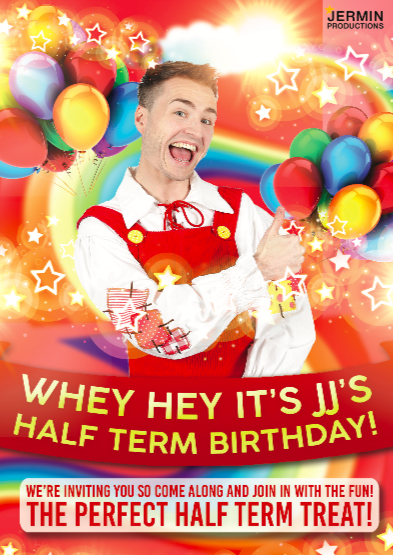 Whey Hey Its JJ’s Half Term Party! 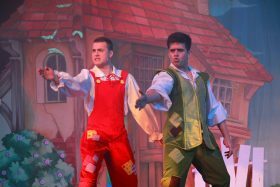 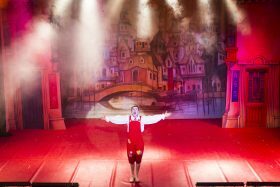 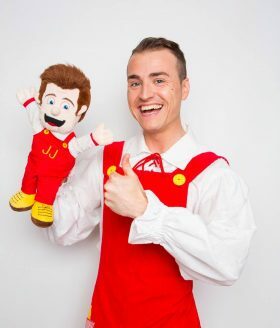 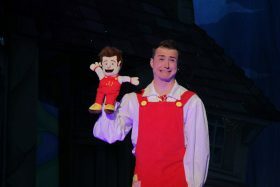 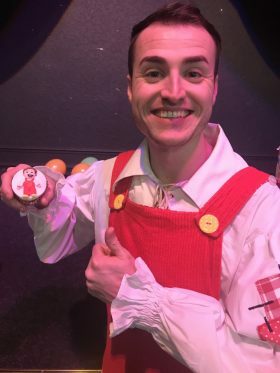 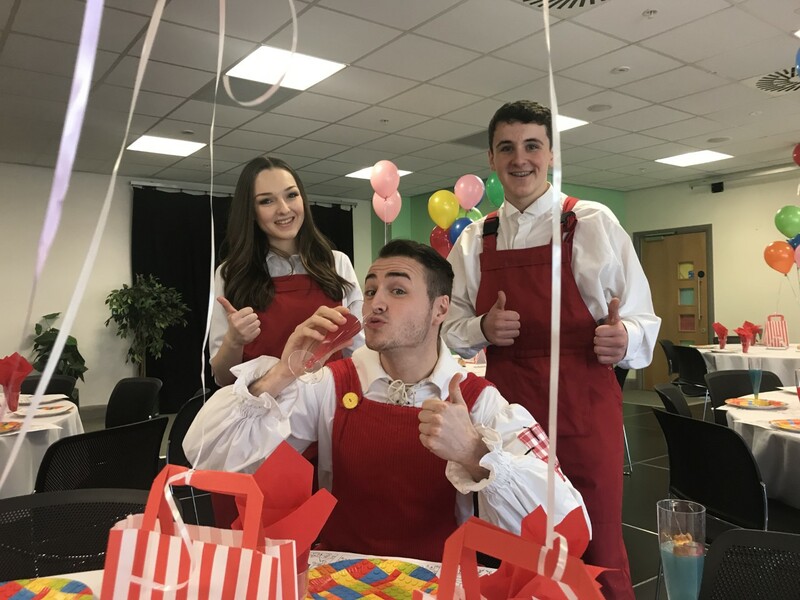 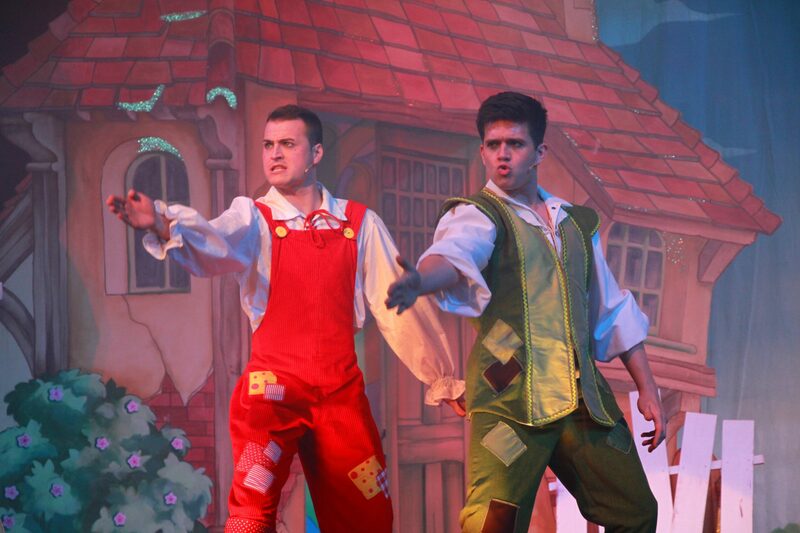 JJ’s HALF TERM Birthday Party was hosted in February 2019 and was the biggest Panto-tastic celebration yet! 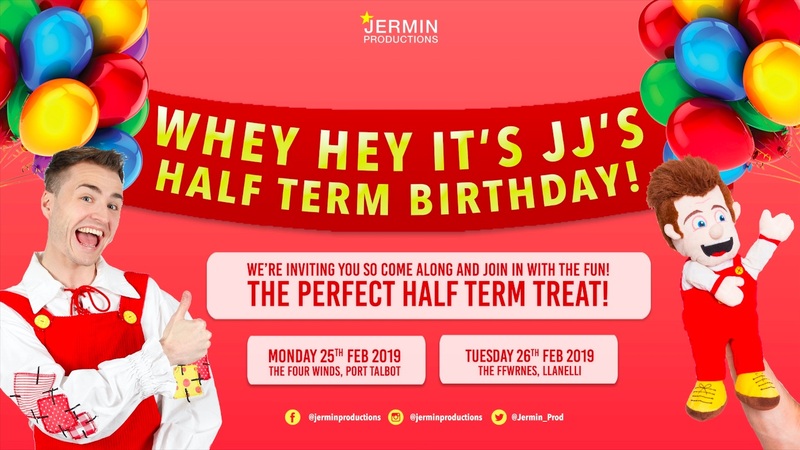 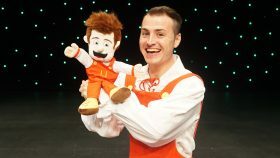 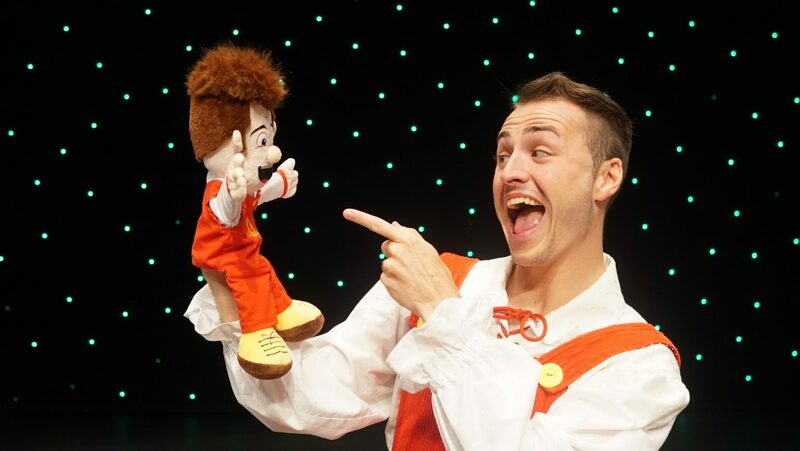 This fun-packed children’s tea party launched the half term holidays in February 2019 and give guests the chance to celebrate with South Wales’ funniest comedy character. 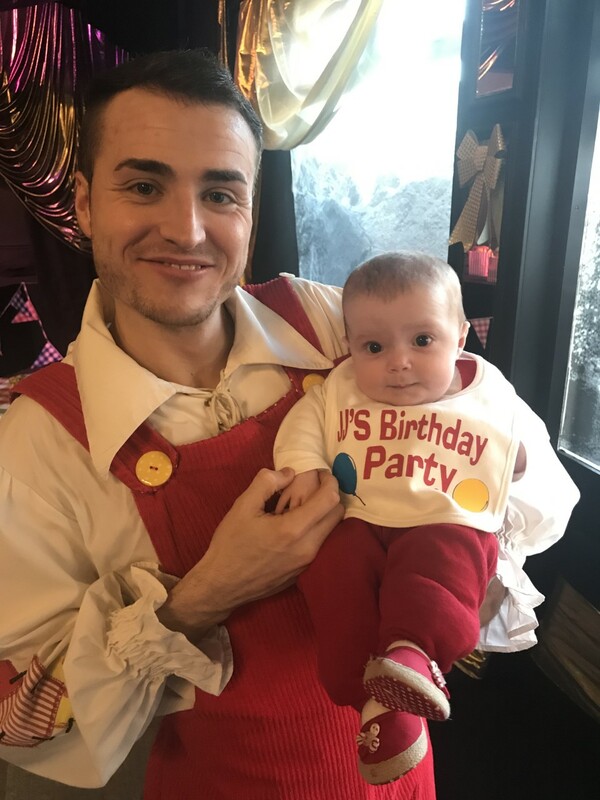 Some of the smallest Pantomime fans joined JJ and Junior J as they welcomed them to their ultimate birthday bash at The Four Winds in Port Talbot and the Jermin Productions Pantomime home, The Ffwrnes Theatre in Llanelli. 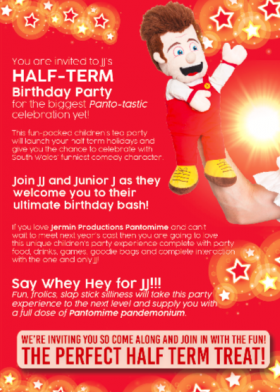 JJ’s Half Term Birthday Party was a unique children’s party experience complete with party food, drinks, games, goodie bags and complete interaction with the one and only JJ! 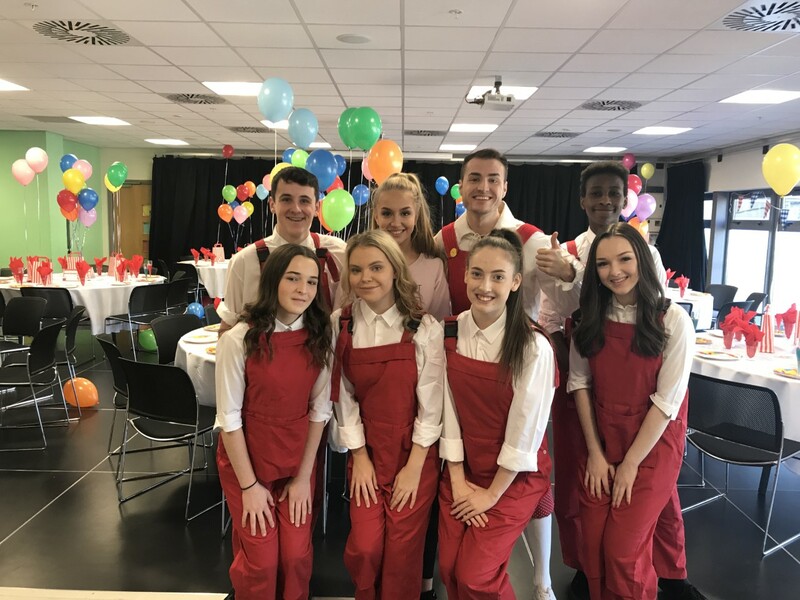 A team of enthusiastic actors delivered a fast paced, incredible current and highly inclusive script which had every single person up on their feet dancing! 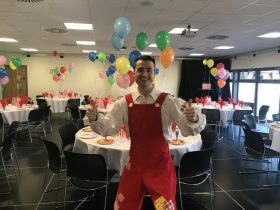 Fun, frolics, slap stick silliness took this party experience to the next level and supplied each guest with a full dose of Pantomime pandemonium.